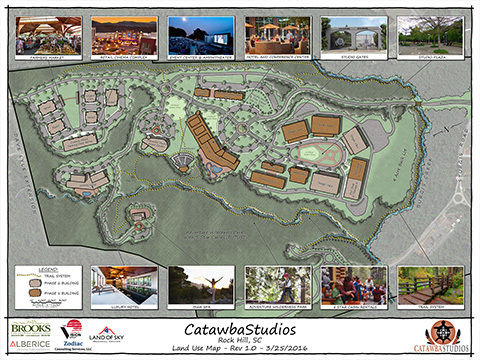 BEA teamed up with Land of Sky Regional Center to provide land planning, financial planning and pre-development feasibility studies for a movie studio to be located on the Catawba tribal lands near Rock Hill, SC. BEA was part of a larger visionary group that developed the programming for the project that included a 23 acre movie studio, two hotels, a tribal cultural center, amphitheater, office and restaurants. BEA provided the land planning and site development costs for the overall project pro-forma.